Washington State’s drunk driving laws are among the toughest in the entire country, according to a recent statement from Mothers Against Drunk Driving (MADD). But with several devastating drunk driving accidents taking place in the Puget Sound area over the past couple of months, the conversation about the adequacy of punishment for drunk driving in our state has been growing. Last month, Mark Mullan was driving under the influence of alcohol – he allegedly recorded a .22 blood alcohol level after being taken into police custody – in the Wedgwood neighborhood of North Seattle when he crashed into four pedestrians, killing two and putting the other two in a hospital with critical injuries. Then, in another crash just a matter of days after the first devastating DUI accident, Michael Robertson was driving under the influence and got onto Highway 520 heading the wrong direction and slammed head-on into Morgan Williams, who died later from her injuries at Harborview Medical Center. Besides the fact that they were both under the influence of alcohol at the time of the crash, the most glaring factor in common between both Mullan and Robertson in these accidents is the fact that they both had a detailed history of getting behind the wheel drunk. In fact, many experts have suggested that their track record of run-ins with the law should have been enough of a warning sign to keep them from getting behind the wheel at all. And according to court records, Mullan had been ordered to have an ignition interlock device – which prevents a driver from being able to start his or her vehicle if the device detects a presence of alcohol – as a result of his history of drunken driving offenses. Unfortunately, Robertson had been ordered not to consume alcohol or drugs after his previous arrest but was not ordered to have an ignition interlock device installed. But as we know now, those devices were never installed in the vehicles of these two men, which allowed them to continue their dangerous behavior and eventually take three lives and cause devastation to many more. Naturally, one could have anticipated that two violent and devastating tragedies occurring in such close proximity to each other would give lawmakers and victims advocates plenty of reason to revive discussions about Washington state’s drunk driving laws. Representative Roger Goodman (D-Kirkland) called an emergency work group last week to discuss the various options for deterring drunk drivers that lawmakers will be discussing in the coming weeks. Among those ideas include monitoring bracelets for convicted drunk drivers and beefing up enforcement of the state’s ignition interlock laws. Representative Brad Klippert (R-Kennewick) is among a group of legislators that supports the “three strikes” idea, which would make a person’s third DUI conviction a felony offense. But one of the obvious setbacks to that idea is the expense to taxpayers that would stem from the added prisoners, which cost the state approximately $37,000 per year. 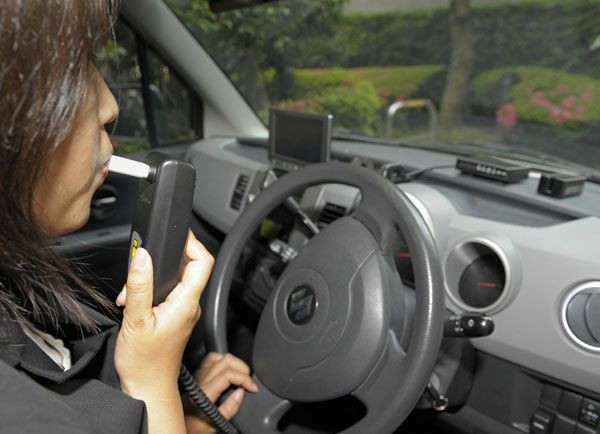 Ultimately, it seems as though the ignition interlock system is one of the most reasonable and effective options on the table for lawmakers when it comes to tackling the drunk driving problem in the Seattle area. If Mullan’s vehicle had an interlock device installed, he would not have been able to start the engine due to his high level of alcohol content. Although Mullan was the only one of these men who had been ordered to have an ignition interlock device installed, these examples still illustrate the need for more deterrents for drunk drivers. Though there are a number of ideas being floated around, many experts can at least agree on one thing: the consequences of drunk driving need to be dire enough to make drivers think twice before getting behind the wheel after drinking.